Charter a Bus to the National Mall in Washington D.C. Visiting the National Mall in Washington D.C. should be at the top of everyone’s vacation list! Washington D.C. has so much to see for travelers interested in the country’s important history, international art, diverse culture, and everything in between. 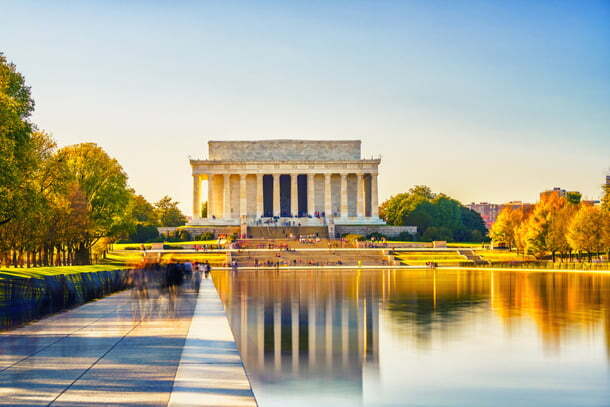 Whether you’re traveling to the National Mall for a school field trip, personal vacation, or youth group outing, be sure to book your group transportation with National Charter Bus. We have access to modern charter buses and minibuses throughout the region to easily shuttle groups around D.C. Whether you’re traveling with a group from nearby Alexandria or you’re traveling long-distance from New York City, National Charter Bus has you covered during every step of your trip. 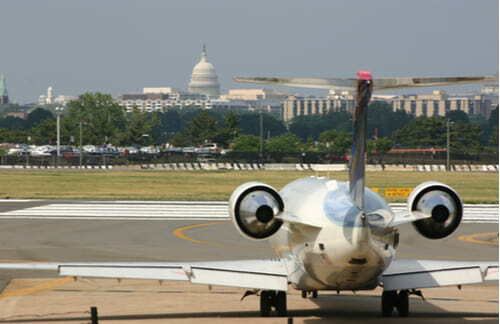 Call us anytime at 202-250-3441 for a free, personalized quote for your next D.C. trip! Welcoming over 24 million visitors from across the world each year, the National Mall is the most-visited national park in the United States. The National Mall stretches about two miles and houses over a dozen museums, monuments, and memorials, along with dozens of additional attractions bordering the Mall’s perimeter. Aside from the National Gallery of Art, every museum located directly on the National Mall is run by the Smithsonian Institution. The National Mall has institutions dedicated to everything from American history to African art. Visiting multiple museums and memorials on the National Mall can be a time-consuming task. Once you factor in time to visit popular attractions on the outskirts of the park, most visitors plan to spend at least 3 days in D.C. It’s important to plan ahead of time which monuments and museums are considered “must-see” visits for your group. If you’ll be in D.C. for multiple days, organizing lodging and transportation are crucial steps. This is especially important for groups requiring multiple sleeping rooms for their trip. 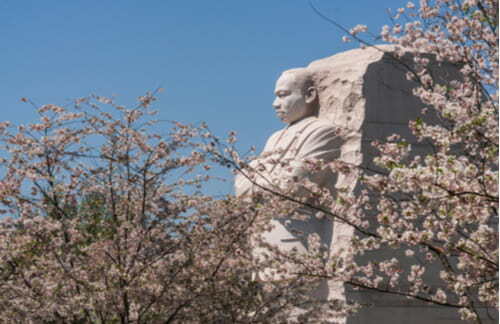 Lodging closest to the National Mall can be expensive, especially during peak travel seasons in summer while school is out and in spring for events like the National Cherry Blossom Festival. If you have an open schedule and don’t mind chilly weather, fall is one of the best times to visit Washington. Crowds begin to thin out along the National Mall during this time and securing reasonable lodging rates is much easier. After booking your lodging, be sure to reserve your transportation as soon as possible to secure the best rates. 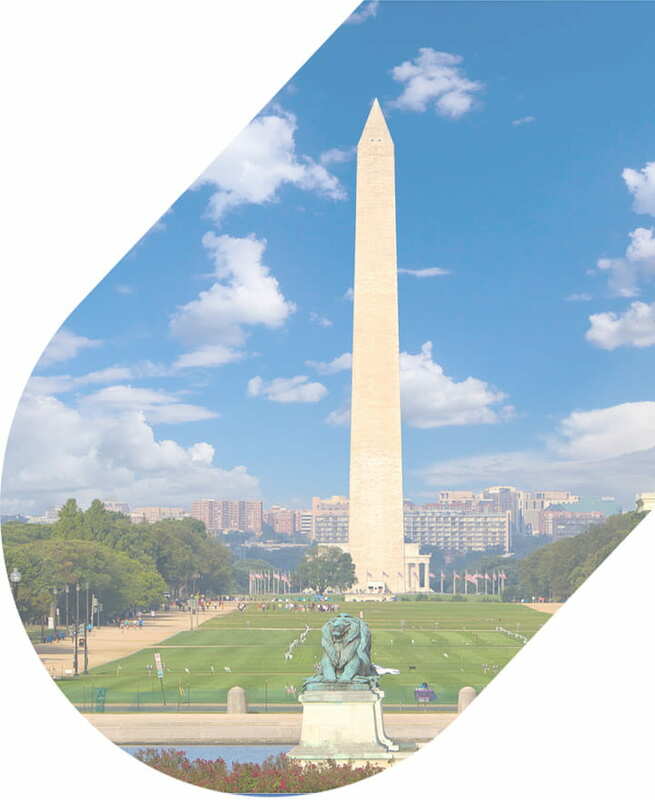 Groups of all sizes can find easy transportation accommodations with National Charter Bus for a trip to Washington’s top monuments. The fleet of buses we charter includes modern models that are perfect for travel across all distances. If your group is traveling for a big school field trip or large-scale political event at the National Mall, a full-sized coach will offer the most comfortable travel. Full-sized charter buses are spacious options for large groups of passengers and can include top amenities like complimentary WiFi, extended legroom, extra storage, and on-board restrooms. Groups of families or friends traveling to D.C. for a vacation or business groups heading to D.C. for business would be better suited with a compact minibus. Minibuses still possess the same comfort of full-sized coaches but are better for small groups traveling in busy cities. If your group is opting to fly into Ronald Reagan National Airport, Dulles International Airport, or BWI, a private charter bus is a quick and efficient way of getting your entire group from the hotel to hotels, attractions, and more. Chartering a private bus will also give your group the opportunity to travel to different parts of D.C. beyond the National Mall as you please. Choosing where to visit along the National Mall can be difficult if you don’t have an abundance of time. Simply seeing each part of the National Mall is possible in one day, but exploring each museum and memorial in-depth will take much more time. Depending on the museum, visitors can spend anywhere from one to four hours in each. Beyond the National Mall your group can explore other unique attractions that D.C. has to offer. With your private motorcoach from National Charter Bus, a professional driver will be behind the wheel to take care of the driving to, from, and around different parts of the capital. No matter where you decide to travel in D.C., we’ll take care of the driving and parking, so your group can focus on the educational trip ahead. Choose National Charter Bus to easily organize your trip to the National Mall. 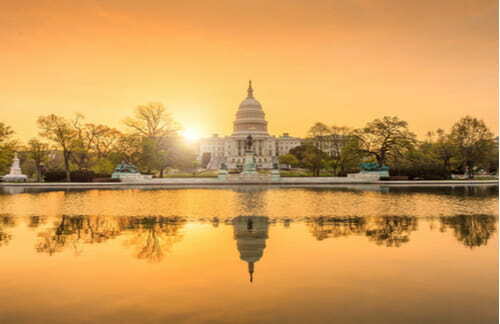 Your group will have a comfortable and safe travel process throughout your time in Washington D.C. We’ll pair your group with the best charter bus and professional driver for your time in the capital, no matter the length or distance of the trip. Our rental experts are available 24/7 at 202-250-3441 to provide travel assistance and no-hassle quotes.